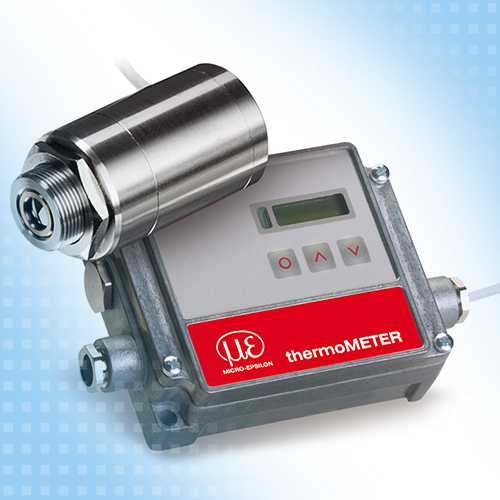 With blown film extrusion, non-contact temperature measurement is a difficult measurement task. Ambient radiation also penetrates thin films and distorts the intrinsic radiation of the films. The infrared CT-P3 and CT-P7 pyrometers only detect the infrared radiation emitted by the plastic films and ignore the penetrated ambient radiation. This is how high precision detection of the surface temperature is possible.